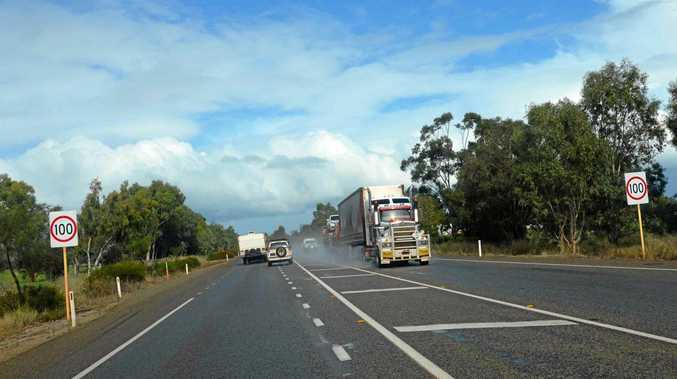 TRUCKIES have weighed in on the controversial NSW 40km/h slow down rule after Mike Williams posted a video to Twitter showing what it looked like from a truckie's cab. Bronwyn Hamilton said it was a rule that "will cause an accident”. "If you are travelling at full speed and fully loaded a truck can't drop to the 40km in the flick of a finger and that goes for vehicles towing caravans etc,” she said. She said it would make more sense to make the roads a lane wider so police cars could get off the road when doing their job "'cause someone don't remember the road rules”. Mark Ross said he couldn't understand why it was such a problem in NSW when every other state except Queensland had it. "If you are against this rule, come work at an emergency with traffic going past at full speed, inches from you,” he said.